Is this stoking the fires ahead of tomorrow? Probably not so much, but Swansea’s manager Francesco Guidolin had little time to discuss his opposing boss Jurgen Klopp ahead of Saturday’s tie Liverpool. We’re travelling to Wales on Saturday morning, with some Liverpool fans worried that Klopp gave away his tactics on Monday Night Football earlier in the week. According to Guidolin though, Klopp worries too much about this side of the game! “The tactics is important, but it is not the most important thing. You win the game on the pitch,” the Italian said when asked if he saw Klopp on Sky Sports. “I already saw Liverpool lots of times this week. We have our idea, I hope it is a good idea, but it is maybe not enough. 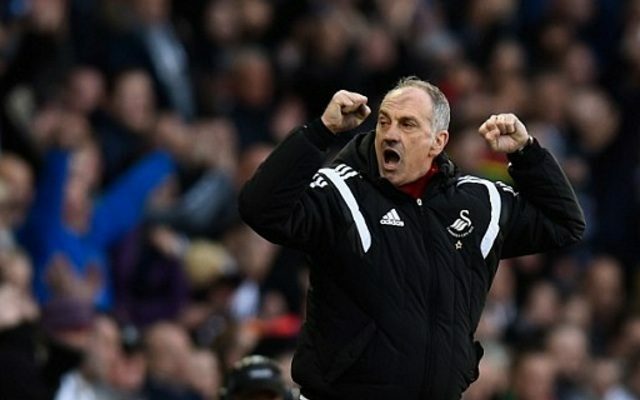 Swansea haven’t set the Premier League alight this term, having won just once from six and lost four times. They do have the very dangerous Gylfi Sigurdsson on the books though and the Icelandic playmaker has the kind of wicked set-piece delivery which has previously caused us problems.